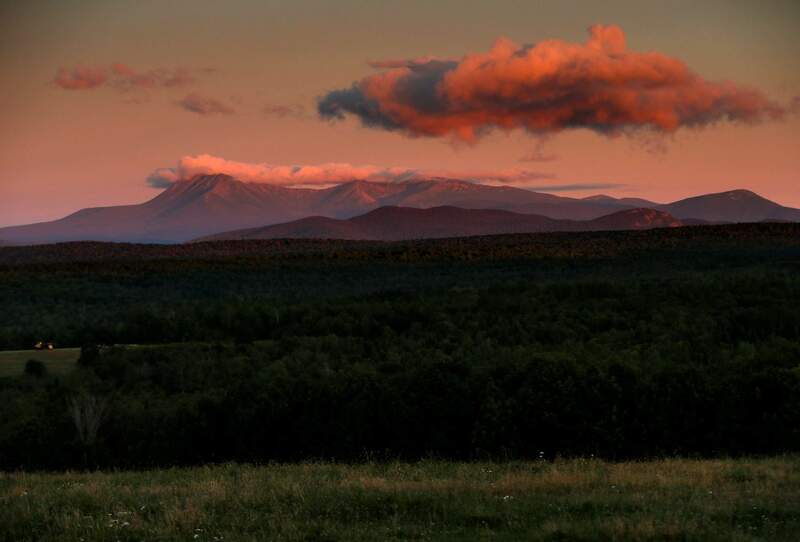 Mount Katahdin is just west of the Katahdin Woods and Waters National Monument, a site administered by the U.S. Interior Department near Patten, Maine. A year of upheaval at the U.S. Interior Department has seen dozens of senior staff members reassigned and key leadership positions left unfilled, rules considered burdensome to industry shelved, and repeated complaints that dissenting views have been sidelined. U.S. Interior Secretary Ryan Zinke visited Kings Canyon National Park, Calif., in April 2017. The park is managed by the U.S. 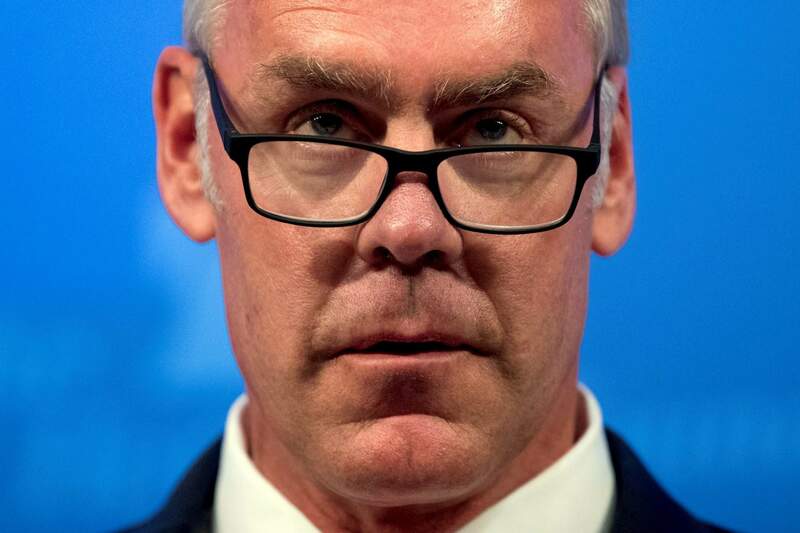 Interior Department, which has seen dozens of senior staff members reassigned and key leadership positions left unfilled, rules considered burdensome to industry shelved, and repeated complaints that dissenting views have been sidelined. BILLINGS, Mont. – A year of upheaval at the U.S. Interior Department has seen dozens of senior staff members reassigned and key leadership positions left unfilled, rules considered burdensome to industry shelved, and a sweeping reorganization proposed for its 70,000 employees. The evolving status quo at the agency responsible for more than 780,000 square miles of public lands, mostly in the American West, has led to praise from energy and mining companies and Republicans, who welcomed the departure from perceived heavy-handed regulation under President Barack Obama. But the changes have drawn increasingly sharp criticism from conservationists, Democrats and some agency employees. Under President Donald Trump, the critics say, Interior Secretary Ryan Zinke has curbed outside input into how the land is used and elevated corporate interests above the duty to safeguard treasured sites. The differing views illustrate longstanding tensions over the role of America’s public lands – an amalgam of pristine wilderness, recreational playgrounds and abundant energy reserves. A year into his tenure, Zinke, a former U.S. Navy SEAL and Montana congressman, has emerged as the point person for the administration’s goal of American “energy dominance.” He’s targeted regulations perceived to hamper development of oil, natural gas and coal beneath public lands primarily in the West and Alaska. He’s also made plans to realign the agency’s bureaucracy, trimming the equivalent of 4,600 jobs – about 7 percent of its workforce – and proposed a massive overhaul that would move decision-making out of Washington, D.C., relocating headquarters staff to Western states at a cost of $17.5 million. The intent is to delegate more power to personnel in the field who oversee activities ranging from mining to livestock grazing to protecting endangered plants and animals. Staffing reductions would be achieved through natural attrition and reclassifying some positions to lower pay grades as employees are moved outside the D.C. area, Zinke spokeswoman Heather Swift said Monday. Zinke’s actions have stirred dissent within and outside the agency – from his claim that one-third of Interior employees were disloyal to Trump to a proposal to allow more drilling off America’s coasts while carving out an exception for Florida at the request of Republican Gov. Rick Scott. Along with Zinke’s full-throated promotion of the Trump administration’s new agenda came the transfer of at least 35 senior Interior employees. Among them was Matthew Allen, who was demoted from assistant director of communications at the agency’s Bureau of Land Management. He’s now in a new position, performing “nonspecific duties” in an Interior branch that oversees offshore drilling. Allen sued in December, challenging his reassignment as retaliation for his support of government transparency. “There appears to be a collective effort to suppress information being shared with the public, the press and the Congress,” he said. At the agency’s highest levels, 11 leadership positions are vacant a year after Trump took office, including the directors of the Fish and Wildlife Service, the Bureau of Land Management and the National Park Service. Panels such as the National Park System Advisory Board have languished, according to a letter submitted by board members who resigned last month. Board Chairman and former Alaska Gov. Tony Knowles, a Democrat, complained that requests to engage with Zinke’s team were ignored and members were concerned stewardship and protection of the parks was being pushed aside. When the Park Service in October proposed increasing entrance fees at 17 of the most highly visited parks — from Grand Canyon to Yellowstone and Zion — the board wasn’t consulted, said Carolyn Finney, a University of Kentucky geography professor who was among those who resigned. 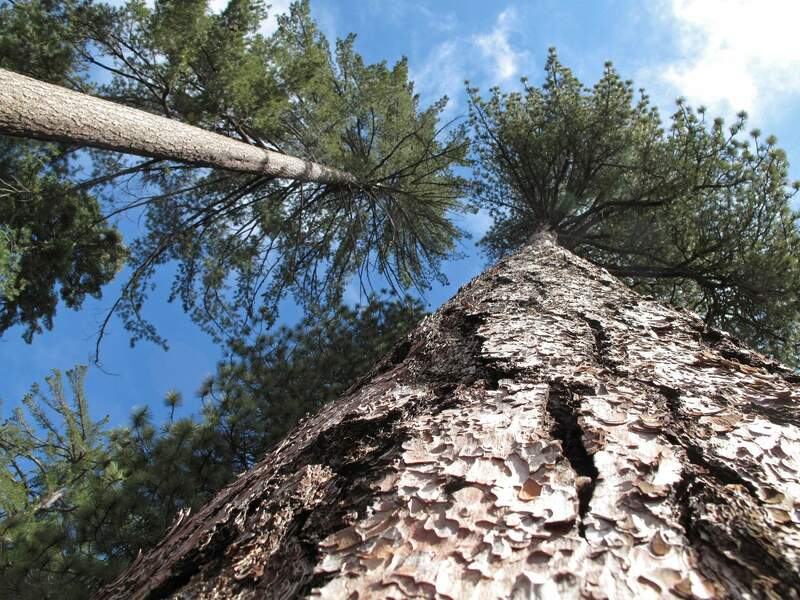 The board’s charter expired in December after it collected comments from more than 100 experts on how parks should deal with climate change, increase visitor diversity and protect wildlife. Zinke’s associate deputy secretary, Todd Willens, called the resignations a “political stunt” because another meeting was planned and because the agency was working to renew the board’s charter. Similar action has been promised for idled advisory boards at the Bureau of Land Management. Under Trump, the charters for 22 state-level resource advisory councils – composed of local officials, representatives of business and environmental groups and others – expired in January. Some expired months ago and at least 14 remained so as of Friday. Interior representatives did not respond to numerous requests for information on the status of the other councils. The councils make recommendations on activities on public lands, such as whether off-road vehicles should be allowed in wildlife habitat or whether logging could help prevent wildfires. Zinke suspended the panels for five months in May as part of a review of more than 200 boards and advisory committees. Some had not met in years. Congressional Democrats objected, saying the move would stifle non-governmental views on how U.S.-owned land is used. Swift said it was “common practice” to periodically renew and refine the panels’ charters. Oil and gas groups in particular have embraced the concept of change for an agency once seen as an obstacle to drilling. The withdrawal or cancellation of Obama-era rules on fracking and methane emissions from oil and gas exploration were positive first steps, they say. Next comes getting Interior staff on board, said Kathleen Sgamma with the Western Energy Alliance, which promotes giving oil and gas companies’ access to federal lands. U.S. Rep. Raul Grijalva of Arizona, the House Natural Resources Committee’s ranking Democrat, said Zinke’s actions have made it easier to pollute federal lands and waters while giving special interest groups more influence. “He’s in over his head,” Grijalva said.